One of the purchases I made at Greentopia was Hey Shuga! 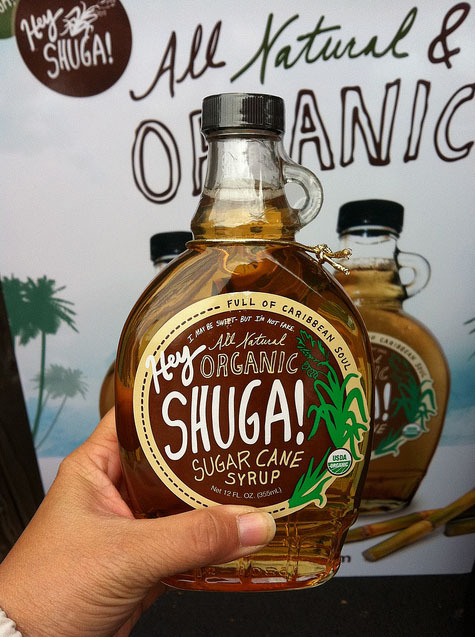 - an all natural, organic sugar cane syrup and the company is located right here in Rochester. I drink a lot of hot tea and that involves a lot of stirring and stirring to disolve my sugar cubes. I also like to make iced tea in the summer and for that I make simple syrup. I think Hey Shuga will be a good subsititute. i am thinking it would be perfect for iced coffee too... especially since they are coming out with flavored versions like vanilla and hazelnut. Wow that pie sounds good. I guess you could order a bottle (or case!) on their website. I just saw this in Abundance on Marshall St! Is it good? LB - Yes, I put it in my tea - hot and iced. I think it has a slight maple syrup flavor. Thank you for sharing healthy tips on Organic Sugar Cane Syrup for healthy life.